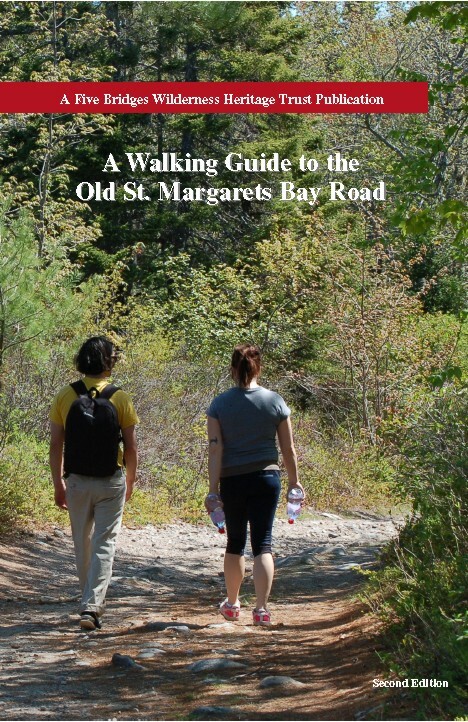 A fabulous second edition of the popular book A Walking Guide to the Old St. Margaret’s Bay Road is ready for sharing and the Trust is celebrating! Just in time for summer hikes and outdoor fun, this full-colour 40+ page guide offers detailed descriptions, updated colour maps and coordinates to points-of-interest across this once main route of the Chebucto Peninsula. Author Wayne Rogers will attend the book launches to sign copies. Numerous Trust members, volunteers and supporters helped tirelessly to update the content of this edition and ensure its accuracy. Many of them will also be available to talk about the new edition. This publication has been made possible through the generous contributions of Bay Treasure Chest, Halifax Regional Municipality Grants Program, St. Margaret’s Bay Region Tourism Development Association, Sage Fund, HRM Councillor Reg Rankin and an anonymous donor, and many Trust members and supporters who provided new content.